A1 Matrix No. : C-527 Artist: Thau Yong Amateur Musical Association 陶螎儒乐社 Tao Rong Ru Yue She Title: 小桃红 (其一) Xiao Tao Hong (Part 1) B1 Matrix No. 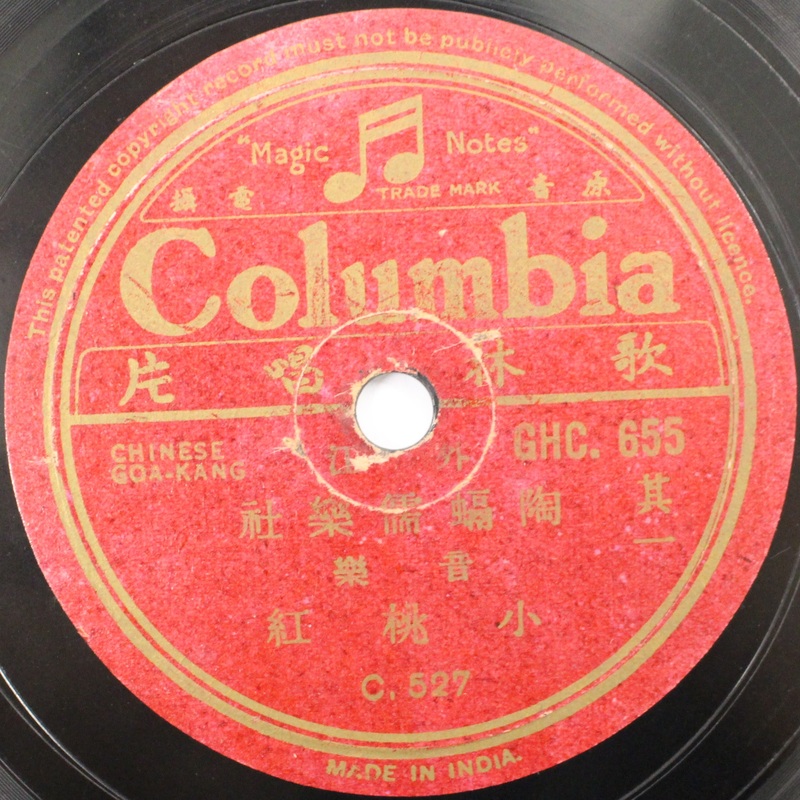 : C-528 Artist: Thau Yong Amateur Musical Association 陶螎儒乐社 Tao Rong Ru Yue She Title: 风吹柳 (其二) Feng Chui Liu (Part 2) Thau Yong Amateur Musical Association was formed in 1931, and continues performing Waijiang and Teochew opera and music today.